The data published covers all enrolments in higher education (for more details, see Repères et références statistiques, édition 2016, 6.1 et 6.2). Enrolment rates by age are the ratio of the number of young people of a given age in higher education, against the estimated number of the population of the same age. By applying the rates recorded for the 2010-11 academic year to the 2015 population, we get a theoretical number of students for the 2015-16 academic year. The "educational factor" is the difference between this number and the number of students who actually enrolled in 2015. A positive "educational factor" demonstrates the increase in the proportion of young people in a generation who enter higher education. This increase can be due to two, possibly combined phenomena: more young people obtain the Baccalaureate, or a growing proportion of new Baccalaureate holders enter higher education. The "demographic factor" is the difference between the development in the number of students between the 2010-11 and 2015-16 academic years and this "educational factor". There were 2,551,100 enrolments in higher education at the start of the 2015-2016 academic year. This was an increase of 3.2% in student enrolments over the previous year. The number of young people embarking on higher studies has risen hugely in five years. In 2015-16, 2,551,000 students enrolled in higher education in mainland France and the overseas departments (DOM) (chart 12.01). 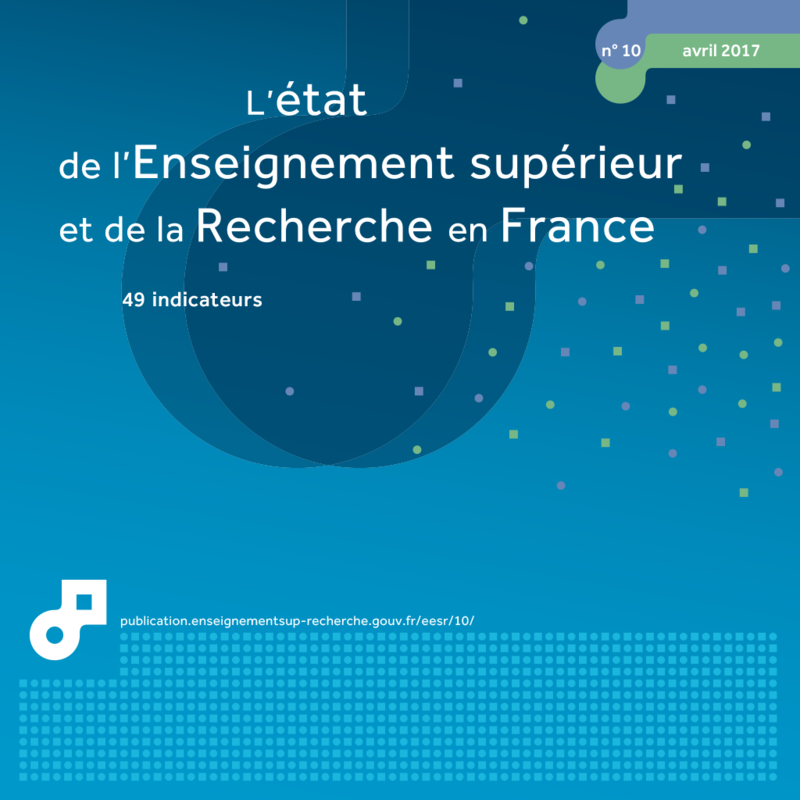 The number of students enrolled in higher education in France increased for the seventh consecutive year (+3.2%, i.e. 79,900 more enrolments than in 2014). One factor for this upwards trend was the gradual implementation of the mandatory dual enrolment of students preparing for admission to the grandes écoles (CPGE) in a public scientific, cultural or professional establishment (EPSCP). But once the effect of these dual enrolments was neutralised, the overall increase was still very high, reaching 2.5% (+60,600 students). In five years, 231,000 additional students have entered higher education (+211,000 excluding dual enrolments in CPGE). Growth was six times less during the five previous years with 36,000 additional students between 2005 and 2010 (chart 12.01). In addition, changes in the size of generations should have led to a 100,000 drop in the number of young people enrolled in 2015-16 compared with 2010-11 (table 12.02). The increase in numbers cannot therefore be explained by a 'demographic effect' but a massive 'educational effect' since 2010, although it was much more modest in the five previous years (see methodology). In 2015-16, 1,593,200 students enrolled in universities in mainland France and overseas departments, representing 62% of all enrolments in higher education (chart 12.03). Numbers at university have increased by 10.9% in five years (9.6% excluding dual CPGE enrolments) compared with 1.1% in the previous five-year period (chart 12.04). Trends vary considerably depending on the field of education. In Law and even more in Healthcare, numbers increased significantly between 2005 and 2010, and the rise continued at a more modest pace over the next five years. Growth in Economics and Economic and Social Administration was 4.3% between 2005 and 2010 and virtually non-existent in the last five years (+ 0.7% excluding dual CPGE enrolments). Lastly, there was a notable rise in number of university enrolments for the 'Arts, Humanities, Languages and Human and Social Sciences' and 'Sciences and STAPS' groups, where numbers had dropped between 2005 and 2010 and increased considerably between 2010 and 2015. One student in six, i.e. 449,900 students, attended a private education institution (chapter 09). Public education has increased at a faster pace than private education in the last five years, whereas the opposite had been true since 2000. Although in total 55.1% of students were women in 2015-16, their proportion varies hugely according to the courses. Women accounted for half the enrolments in STS, 39.5% in IUT and 42.1% in CPGE (chart 12.05). Conversely, 84.5% of students enrolled in paramedical and social courses were women. At university, they account for 69.7% in Languages, Arts and Humanities. In the last ten years, the proportion of women enrolled in scientific courses at university has increased slightly, but they are still a minority. The total number of students in higher education increased by 231,500 at the start of the 2014-15 academic year, compared to the start of the 2010-11 academic year. Without the effect of other factors, the changes in the size of generations (demographic factor) would have resulted in 98,500 fewer students enrolling. 1 116,205 students enrolled in DUT preparation.